The transition from spring to summer is in the air and pins are reflecting April Showers and May Flowers. While a handful of Tokyo Disney pins are simple and minimal in design, no cutbacks are made in quality or detail. A good example of this can be found in the recent release of the Mickey and Minnie umbrella pins. 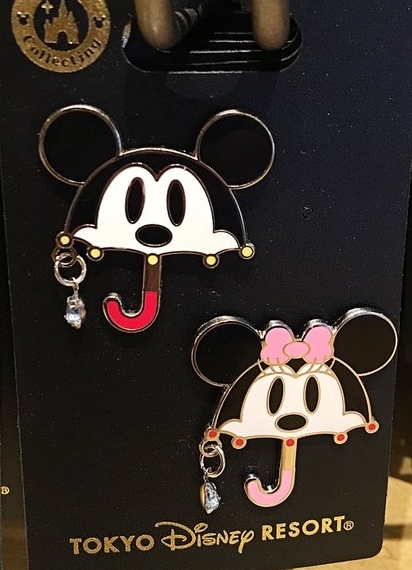 A Mickey and Minnie umbrella pin set. A neat idea for a pin-trading couple: one for the guy and one for the gal. Mickey’s and Minnie’s classic faces make up the body of the umbrellas and is made complete with their ears. What sets these apart from your average umbrella design is the dangling crystal attached to one of the nubs. It’s a great pin to tack unto your day bag at the parks as any movement will make the crystal glimmer. 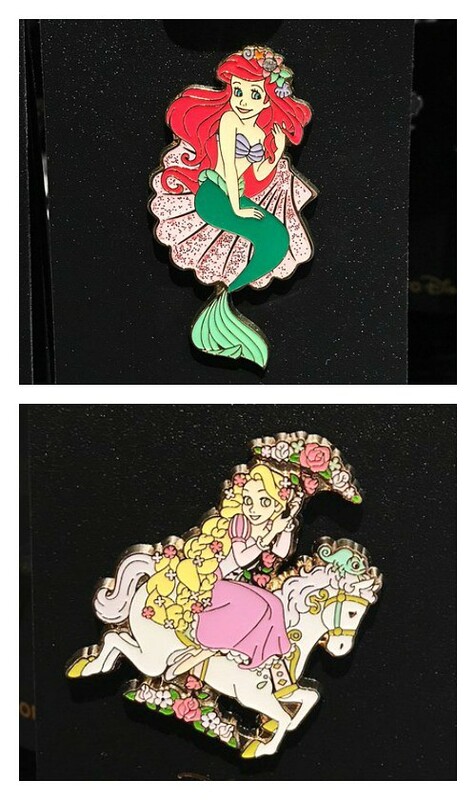 On board with the recent Princess-themed merchandise sees the return of the popular floral-themed Ariel and Rapunzel pins. Both Ariel and Rapunzel are adorned with flowers in their hair, with Rapunzel more so than the little mermaid. Ariel sits atop a pink shell with a glittered background. 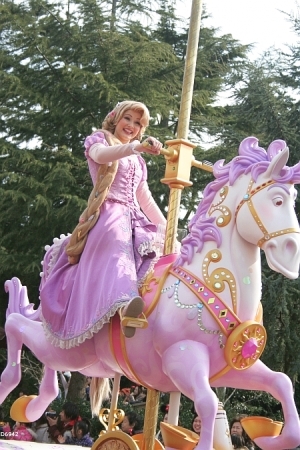 Rapunzel sits astride a merry-go-round horse which resembles the one she rode in Tokyo Disneyland’s 30th anniversary parade. Rapunzel on her parade carousel horse. Tanabata Days, the event named after the Tanabata Festival which celebrates the romantic tale of star-crossed lovers, has recently been announced on media outlets. A sneak preview of the merchandise to come was posted on Tokyo Disney’s event website and among them are two event pins. As with every year, Mickey and Minnie are dressed in the garbs of the folk-tale couple set against a background of bamboo branches and stars.